This deal ends online on April 30th and in-store on April 29th. Before you head off to the premiere of Avengers: Endgame, you can assemble your own personal team of Marvel superheroes thanks to a Barnes & Noble special offer. 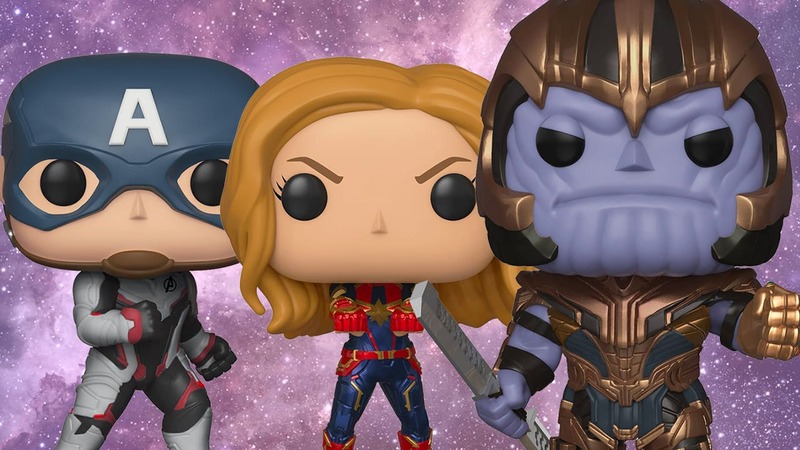 For a limited time, fans can purchase nine different Funko POP Marvel: Avengers Endgame Vinyl Pop Figures for just $59.96. That comes out to about $6.66 per figure — probably less than you’d spend on refreshments at the movie theater. Unlike assembling the Infinity Stones, creating your Funko collection need not cost you tons of time or effort. Barnes & Noble is currently offering three Funkos for $20, but every Marvel Avengers Funko you add past the $20 mark will only cost $6.66. So, your total will add up to $59.96 for a full set of nine. The offer is available online until April 30th and in-store until April 29th. Should you decide to grab all 11 Funko models, your total will come out to $73.28. And no need to worry – shipping is free. If you're giving these Funko characters as a gift, consider buying a few canvas Easter baskets, as well. They're available for $9.99 with any other purchase at Barnes & Noble. The end(game) may lie near, but your Avengers Funko collection is just beginning. Shoutout to Slickdeals user hylife for discovering this marvel-ous deal!